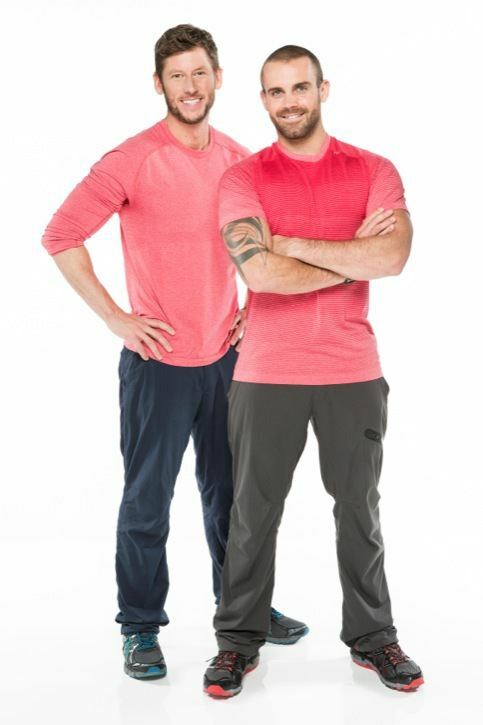 Langley's Ryan Steele (left) and Rob Goddard are one of 11 teams competing for top spot in the second season of the Amazing Race Canada. The show premieres on July 8 on CTV. Competing on the Amazing Race Canada was a learning experience for Ryan Steele. For one, he didn’t know if he could survive without having his phone to constantly update what he was doing through social media. “It was hard,” he laughed about the first couple of days without the device. In the end, he adapted to life without his cellphone and admits he found it quite refreshing. “I always tell people I come from a time when we didn’t have cellphones and life was just fine back then,” Steele said. The other thing the 36-year-old learned, was that he was capable of doing more than he thought he was. “I surprised myself,” he admitted. That is about all Steele is allowed to say about his time on the Amazing Race Canada, which premieres on July 8. The show was filmed throughout the month of May and sees 11 teams compete for top spot. The prizes include $250,000 cash, the opportunity to fly free for a year anywhere that Air Canada flies worldwide in business class, two Chevrolet Silverado trucks and gas for life from Petro-Canada. The teams race against each other over 25 days, completing challenges along the way, with the team who arrives last at their destination eliminated over the course of the show. In the show, Steele — who grew up in Langley, where his parents still live — partners with his friend and co-worker of five years, Rob Goddard. They both bartend at 560 Nightclub in Vancouver. Steele said he has watched every season of the Amazing Race — this is the second of the Canadian version and there have been 24 seasons of the American program. “I love watching reality TV and I thought it would be fun and good exposure for me,” he said. While bartending primarily pays the bills, Steele’s passion is being a sketch comic. With that in mind, Steele wore a shirt promoting The Ryan and Amy Show during the Amazing Race Canada. The Ryan and Amy Show is a live sketch show he does with Amy Goodmurphy. They also have comedy videos online at their website. The show — which he describes as Kids in the Hall-esque — has been on for three years. The four years prior to that, he starred in The Ryan Steele Show. Goodmurphy holds a day job and Steele works nights, so one of the biggest challenges is balancing their time in their schedules for the show, their other jobs and their personal lives. They are also working on some TV projects with an end goal of working solely as comedians. The fact Steele is trying to make a living doing a comedy show wouldn’t surprise his former classmates in Langley. Steele graduated from H.D. Stafford in 1996. As a high school student, he was heavily involved in school plays, student council — pretty much everything, he said. Following high school, he took a break from acting, but got back into it in his mid-20s. And it was around that time that Steele, who lost a testicle to cancer at age 19, began doing cancer awareness fundraisers — which were more sketch and comedy-based — came up with the idea for his show. The Amazing Race Canada will air on Tuesday nights this summer, beginning July 8, at 9 p.m. on CTV. Steele and Goddard will host viewing parties during the season at The Junction Public House (1138 Davie St.) in Vancouver.